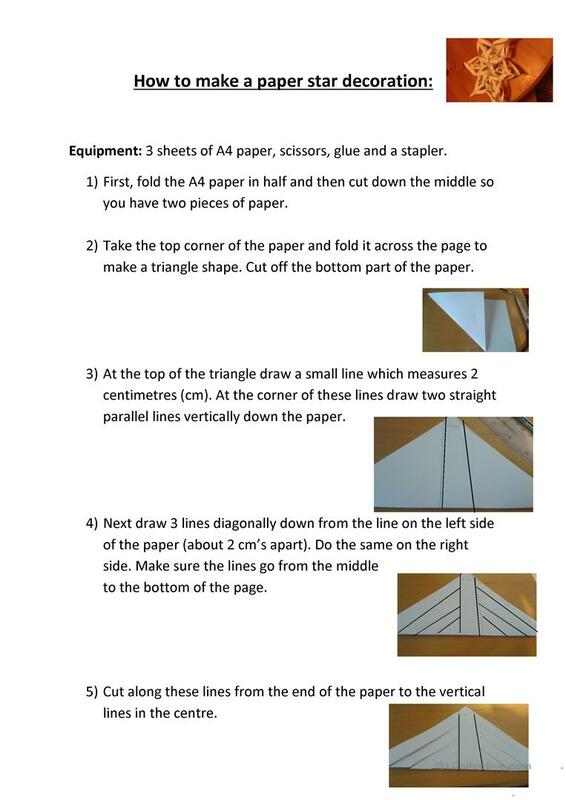 How to make a paper star decoration. 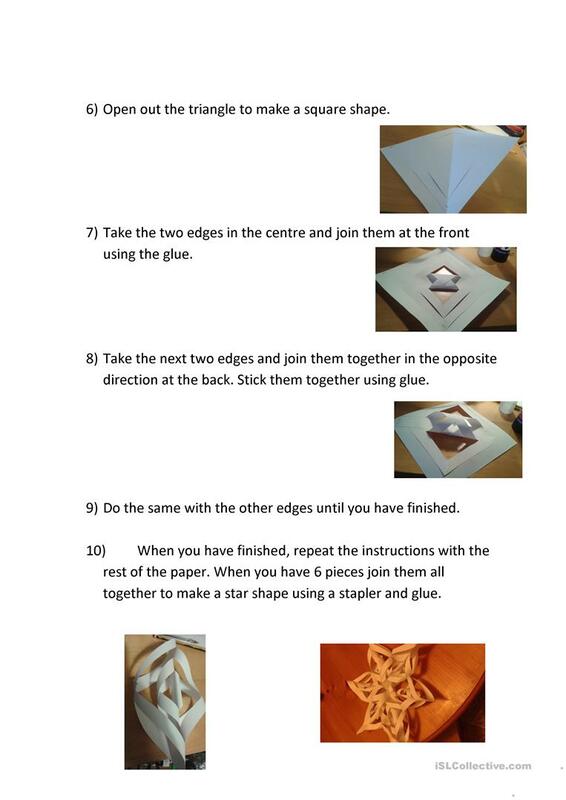 This is a worksheet giving instructions to students to make a paper star decoration. This is aimed for beginner to intermediate level learners. I have used this with a lot of learners preparing for Christmas and other festive occasions. I have attached an instruction vocabulary page for low level learners as well. 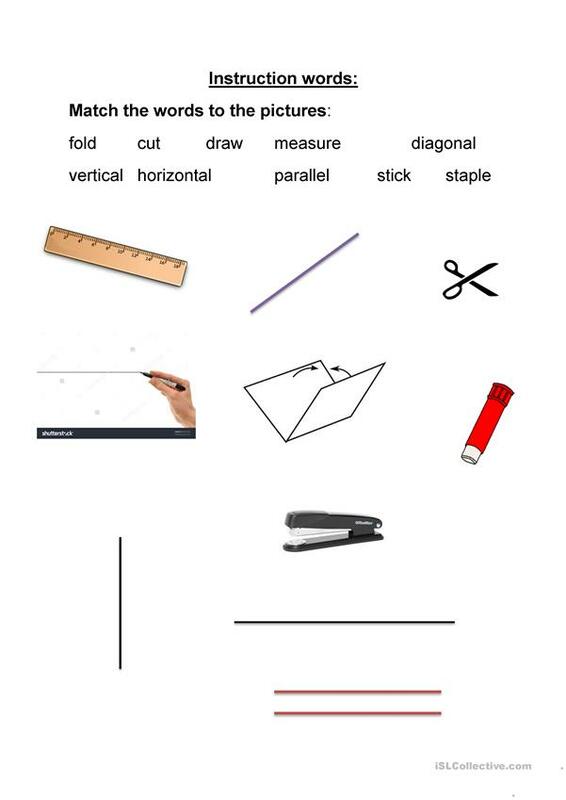 This printable, downloadable handout is intended for high school students, adults and students with special educational needs, learning difficulties, e.g. dyslexia at Beginner (pre-A1) and Intermediate (B1) level. It is useful for enhancing your pupils' Reading skills. It is focused on the theme of Christmas, Giving Directions and Parties, partying, going to parties. Squeen is from/lives in United Kingdom and has been a member of iSLCollective since 2013-04-27 18:11:06. Squeen last logged in on 2019-04-12 18:12:59, and has shared 16 resources on iSLCollective so far.